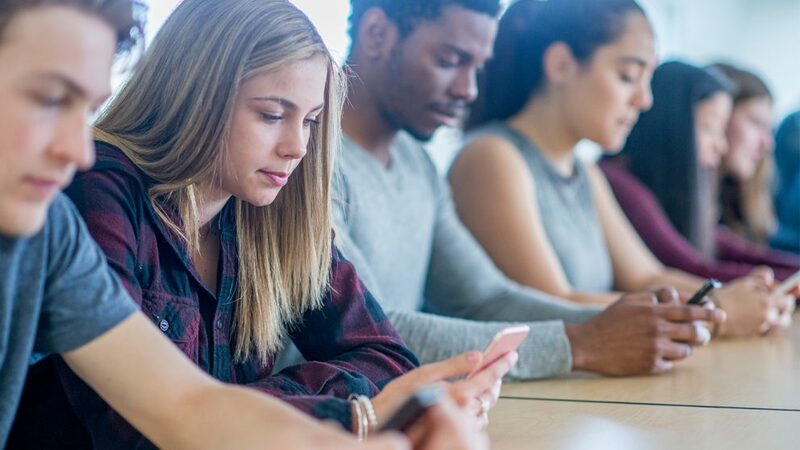 Are you looking to better engage students and use their existing devices in your favor? Leveraging a mobile device as a learning tool is what Top Hat is all about. “In my view, Top Hat is a game-changing piece of software that blows away the student response programs I’ve used in the past,” said Christopher Mariani, associate professor of neurology and neurosurgery in the College of Veterinary Medicine. “Really enjoyed it. Easy to use with no hang-ups,” said one student. “I like Top Hat because it was a way to test my knowledge in a confidential way,” said another. For Robin Thomas, senior lecturer in the Department of Accounting, giving students confidence to participate and engage in the classroom is important. Thomas often has students work through a problem in class and discuss the answer. Prior to using Top Hat, Thomas noted it was usually the same few students answering questions, making it difficult to gauge how well other students comprehended the material. “Using Top Hat to capture all students’ responses, I could sometimes see that only 20-25% of my students answered the question correctly. This would give me an opportunity to address their specific questions better, and I would often find that when following up with a similar Top Hat question, correct response rates became much higher. Had I not used Top Hat, I may have moved on prematurely,” said Thomas. The ability to gauge learning by immediately seeing student responses and customizing her teaching to reinforce certain topics is just one of the beneficial features of Top Hat for Thomas. A similar experience was mentioned by Teaching Assistant Professor in the Department of Marine, Earth and Atmospheric Sciences Lisa Falk. “Top Hat allows the rhythm of teaching to be more flexible and adaptable,” she said. With the instantaneous feedback from Top Hat questions, Falk is able to adjust her teaching to students’ needs. Falk uses Top Hat in MEA 100, a large course which satisfies major requirements as well as GEP requirements. Falk posts her lecture slides to Top Hat so students are able to follow along and make annotations during class. “Students report that they like Top Hat because they can go back and review previous slides to help them support their reasoning during class discussions,” said Falk. Another feature Falk uses is the ability to embed links into questions. “Students are not only answering the question but can easily explore other resources at the same time,” said Falk. It gives students access to more information in one place. “Top Hat takes student engagement a little further. It gives more options to what students are going to contribute,” said Falk. She found having open-ended responses keeps students more engaged and ready to participate in discussions. There are six types of question formats that can be used in Top Hat including multiple choice, open-ended, numeric answers, matching, sorting and rank and click-on-target area questions. According to Mariani, mobile devices and laptops make it much easier for students to enter longer responses. “The ability to enter text is very useful, as it allows an instructor to ask for more in-depth and thoughtful responses that cannot be achieved with the typical multiple choice audience response format,” said Mariani. The click-on-target question format is a unique feature Mariani found beneficial in his Veterinary Medicine classes. According to Mariani, the format allows students to answer a question by clicking on an image and the software then displays the responses as a heat map overlying the image. “We used the click-on-target question format primarily to show an affected area on an x-ray but this could have a number of applications including other medical images, maps, images of art and architecture,” said Mariani. The flexibility and convenience of the bring your own device approach is something Mariani likes most about Top Hat. “Top Hat can be used with smartphones, tablets or laptops — students almost never forget their phones,” said Mariani. He noted that with other classroom response systems, students would often forget their clickers and be unable to participate in the discussion. Top Hat solves this problem because it can be used on any mobile device. “Top Hat is very user-friendly, and I would encourage faculty and other instructors to just open the software, play around and give it a try!” Mariani said. If you teach a large course, want to increase student engagement or ask interactive questions to evaluate comprehension, Top Hat may be for you! There are a variety of resources available to learn how to begin using Top Hat in your courses. At DELTA’s annual Summer Shorts program, there are two Top Hat sessions: Using Top Hat for Student Engagement in a Large Engineering Course and Top Hat in a Large Lecture Biomedical Class. Register soon to secure your spot since these sessions are filling up. DELTA is also hosting several intro to Top Hat workshops this fall, starting on August 15th. For more information and getting started resources, visit go.ncsu.edu/tophat.